Rizal Commercial Banking Corporation (RCBC), one of the largest universal banks in the Philippines, recently underwent a dramatic rebranding programme. This culminated in the unveiling of its new corporate logo and tagline, ‘we believe in you’, in July 2017. 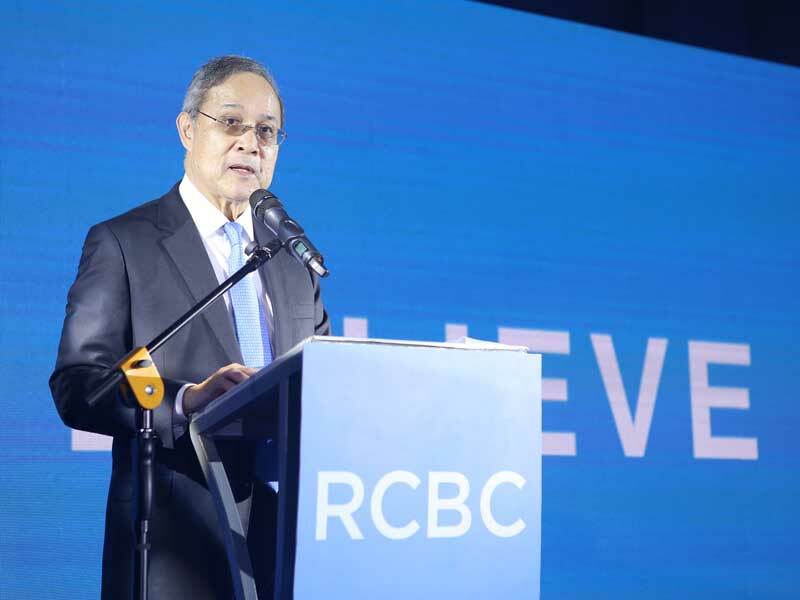 RCBC’s transformation has allowed the bank to shed its traditional image and introduce more modern qualities, while continuing to inspire trust among its clientele. RCBC wanted to show its customers that it is moving forward at the same pace of change they are experiencing in their own lives. To kick the programme off, the bank undertook various preparatory activities, including conducting market research into RCBC’s corporate equity. Analysts concluded that there was an opportunity for RCBC to develop more meaningful relationships with customers. The results also showed that, in the minds of the customers, banks in the Philippines have no clear differentiation in terms of overall service adaptability, trust, networks, access and uniqueness. However, what did stand out was the fact that those who bank with RCBC are actively proud users of the brand. Indeed, this is what the rebranding campaign wanted to build upon, by connecting awareness to actual patronage. RCBC’s biggest challenge is converting those who are aware of the bank into actual clients. To do this, an internal relaunch for employees of the RCBC Group was held in Manila, Bacolod, Pampanga, Batangas and Cebu. The activity and event reached more than 2,000 employees of RCBC and its subsidiaries. As of the first week of August 2017, new signs for branches and ATMs were installed in the Makati central business district branches and on-site ATMs. Currently ongoing are the installations of off-site ATMs. Press pick-ups of the brand relaunch found their way to key publications and TV stations. Millions of people were reached through Twitter, and organic views of RCBC’s video material on Facebook were high. The relaunch saw RCBC’s television break on July 16, 2017 on cable and free TV shows. Sustained placements will be carried out for the first quarter of 2018, with dominant print ads to be featured in key publications as well. In terms of digital and social advertising, RCBC’s thematic advertisement had almost four million views, with thousands of reactions and shares. More than just a tagline that pledges faith and full support to customers, their dreams and their needs, ‘we believe in you’ is a call to action for the bank’s employees to further strengthen the already excellent customer service on offer. As we say at the bank: it’s not about RCBC, but what RCBC can do for you. RCBC’s efforts to understand its customers made it realise that today’s depositors want an approachable bank that not only responds to their needs but, more importantly, believes in the value of their dreams and aspirations. ‘We believe in you’ is a battle cry that shows RCBC’s unwavering support and trust in the indomitable Filipino spirit. At the same time, this new corporate thrust is meant to encourage Filipinos not only to dream, but to turn their passions and dreams into reality; whether it’s travelling to a dream destination, venturing into a new business, or purchasing a new home or car. RCBC’s new look is embodied by its simpler, fresher, and more minimalist logo, which symbolises RCBC’s goal to continue widening its reach and growing its customer base. From its humble beginnings as a development bank in 1960, RCBC’s total consolidated asset value had grown to over PHP 521bn ($10bn) at the end of 2016. Since its inception, RCBC has proven its capacity to meet the demands of its customers, both in the Philippines and beyond. Expanding our reach to nearly 500 branches and close to 1,500 automated teller machines, the bank continues to create a wider network for a better customer experience. Supported by investments in people and technology, RCBC is aggressively reaching out to more Filipinos both at home and in the rest of the world. As RCBC enters a new era, celebrating its 58th year in 2018, its greatest achievement would be to return the unwavering trust and faith to both its employees and loyal customers. With its new philosophy, RCBC is sending a clear message: it stands firm in its mission to help everyone achieve their dreams.